With COP24 approaching, the Rainforest Alliance says forests are the world’s most powerful and cost-efficient carbon-capture technology. In related news: Canada plans to set tougher targets; BC says all new buildings must be “net-zero energy ready”; Oregon’s forest sector is poised to provide solutions; forest management in Michigan is helping; and preventing wildfires by cutting your own Christmas tree in California. In other news: Washington State approves code changes allowing 18-storey wood buildings; NASA and LiDAR team up to map the Earth’s forests; more on Nova Scotia’s clearcutting response; and peace comes with caveats in Columbia as deforestation rises 44 percent. Finally, with less that three weeks of shopping until Christmas, we’re on the lookout to profile your forest-friendly family traditions. Got any? Richard Spinks says Roddickton and St. Anthony are still part of the game plan for the Active Energy Group’s (AEG) business plan on the Great Northern Peninsula. Spinks is managing director for Timberlands International Ltd., a subsidiary of AEG, that has been granted two five-year timber leases on the Great Northern Peninsula. …He said the company has arrangements in place with… local logging operations to harvest the timber …to feed the pellet facility in Hawke’s Bay once it is up and running. But not all logs harvested will end up as wood pellets to heat European homes. Spinks confirmed one of the conditions of the timber licence granted to them by the province is that saw logs — logs that can be sawed into lumber — be available to local sawmills. And that’s where Roddickton comes into play …The hitch is the sawmill is currently not operating. It’s been shut down since 2012. KINGSEY FALLS, QC – Cascades Inc., a leader in the recovery and manufacturing of green packaging and tissue products, is pleased to announce the acquisition of assets, all located in the United States, which will allow the company to double its production capacity of ecological packaging manufactured in moulded pulp. The total cost of the transaction amounts to US$37.4 million. The effective date of the transaction is today. The acquired manufacturing plants are Urban Forest Products and Clarion Packaging respectively located in Brook, Indiana and Clarion, Iowa; two of the top three egg-producing states in the U.S. The plants manufacture moulded pulp protective packaging that primarily serves the egg and quick service restaurant industries and have a combined workforce of just over 150 employees. Cascades also acquired a majority interest in Falcon Packaging, a leader in the distribution of egg packaging which has 31 employees in Ohio, Iowa and Georgia. Northwest Hardwoods Inc. (NWH) has named Nathan Jeppson as Chief Executive Officer and Chairman effective January 7, 2019, and will report directly to the Board of Directors of NWH. TJ Rosengarth will remain on the board of NWH to ensure a smooth transition for the business. Nathan brings significant leadership experience to NWH, most recently serving as President of Shell Chemical LP. …Prior to Shell, Nathan was promoted rapidly through the Dow Chemical Company. …Nathan has served as a director of Houston Habitat for Humanity and a mentor in Junior Achievement’s Junior Business program. Nathan and his family will be relocating near NWH’s corporate headquarters in Tacoma, WA. In the early 2000s, Atelier TAG won competitions to design the Châteauguay Library on Montreal’s south shore as well as the Théâtre du Vieux Terrebonne just north of the city. 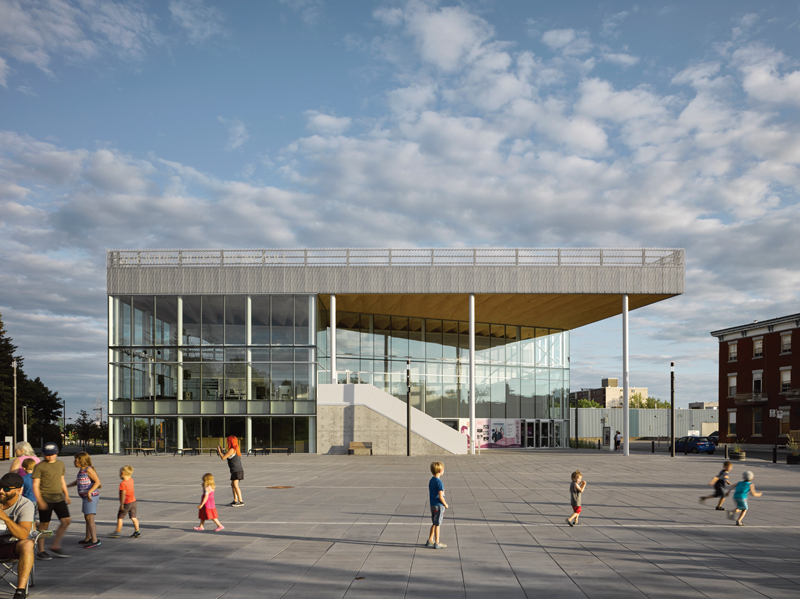 …The latest in the series is the Gilles-Vigneault Performance Hall, a multipurpose arts venue in Saint-Jérôme… For the designers, spatial decisions go hand-in-hand with material and structural choices. The structural wood canopy highlights the forest industry associated with the history of the area and its colonization — a competition request—while also marking the entrance with a strong visual presence. 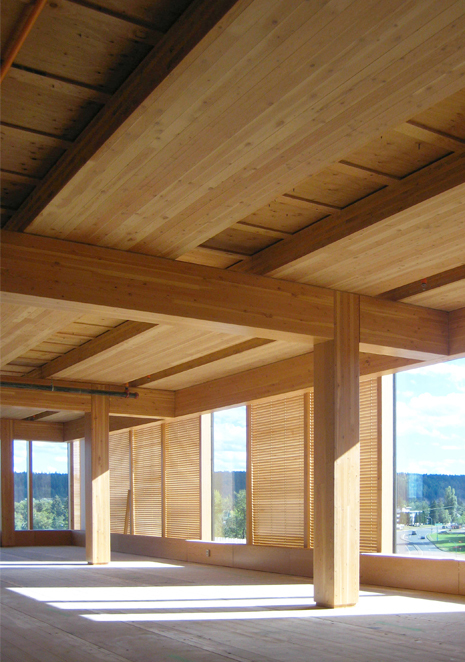 Its pleated underside makes visible the cross-laminated timber beams and panels, and hides mechanical systems, while connecting to the building’s primary exposed concrete and metal structure. This hybrid structural solution came from code and technical issues limiting the use of wood apart from the canopy. The Washington State Building Code Council took a major step last week toward broader use of cross-laminated timber (CLT), or “mass timber, in building construction after unanimously approving rules allowing for the use of CLT for buildings up to 18 stories. The new building technology is regarded by state officials and conservationists as one of several ways to remove unhealthy trees in a financially-sustainable manner while simultaneously improving fire-resiliency for state forestland. “We see Washington as having the potential to be a national leader on mass timber,” Forterra Director of Government Affairs Matt Ojala said. “Supporting rural communities, supporting forest health efforts – this is something we’ve identified early on in terms of helping increase the demand for these products in our state.” A growing CLT market could help make it easier to remove small-diameter trees contributing to overly-dense forestland that can be used to make CLT but are unsuitable for traditional commercial use. SEATTLE — The Washington State Building Code Council (SBCC) has approved code changes that will allow for the structural use of mass timber in buildings as tall as 18 stories. This makes Washington the first state in the nation to allow tall mass timber buildings into its building code, without pursuing an alternate method. Mass timber is a category of large-scale, prefabricated engineered wood products, the best-known of which is Cross Laminated Timber. …Washington’s code changes will update the IBC 2015 to incorporate all of the International Code Council’s Tall Wood Building Code proposals voted on in Richmond, VA in October, 2018. …The action comes after more than two years of comprehensive research and testing, including full-scale fire tests, completed by the International Code Council Ad Hoc Committee on Tall Wood Buildings. CORVALLIS, Ore. — Wooden beams, walls and ceilings highlight the new George W. Peavy Forest Science Center under construction at Oregon State University, where Geoff Huntington, with the College of Forestry, led a tour of the unfinished building Dec. 4. Just about everything inside is made of wood, from the elevator shaft to windows clad with Douglas fir. This is the future of forestry, Huntington said, as wood products such as cross-laminated timber, or CLT, are increasingly used in place of traditional steel and concrete in bigger, taller commercial buildings. …According to one study by Grand View Research, the global market for CLT is expected to hit $2 billion by 2025, tied to the increasing world population and demand for environmentally friendly “green” housing. A downtown parking lot is being repaved with nanomaterials made from wood. Here’s why. …But despite all its benefits … there’s a major downside to using concrete. The production of cement… accounts for 5 to 10 percent of all human-caused carbon dioxide emissions… Over the past decade, though, researchers from across the country have been working together to create a cleaner version of the material. …The U.S. Endowment for Forestry and Communities, a Greenville-based environmental nonprofit, has partnered with the U.S. Forest Service, Oregon State University, and Purdue University to study a concrete mixture infused with cellulosic nanomaterials. Cellulosic nanomaterials are produced by breaking down wood to its smallest, strongest components … they are as strong as steel with only one-fifth the weight. …Carleton Owen, president and CEO of the U.S. Endowment for Forestry and Communities, said the long-term goal of the study is to test how well the nanomaterial-enhanced mixture compares to traditional concrete when it comes to reducing carbon emissions, materials used, and cost. Griffith University researchers are putting timber to the test to see if tall wooden buildings are the way forward for our cities. For the first time in the world, the behaviour of mass timber buildings to resist the loss of a main structural element has been investigated using hi-tech laboratory equipment at the Gold Coast campus. The demonstration …will lead to a better understanding of the behaviour of timber buildings and eventually inform the improvement of current design rules and yield safer buildings. Associate Professor Benoit Gilbert from Griffith’s School of Engineering and Built Environment is part of the team testing engineered solid wood products, such as Laminated Veneer Lumber (LVL), Glue laminated timber (Glulam) and Cross Laminated Timber (CLT) and their capabilities in collapse resistance. Reaching timber building heights of five to six storeys has been made possible thanks to products such as these. Tallying up the biomass in a forest—and monitoring changes to it—is no easy task. …On 5 December, scientists gained a new tool for this tricky business when NASA’s Global Ecosystem Dynamics Investigation (GEDI) was launched on a SpaceX rocket. The instrument, the size of a large refrigerator, will be attached to the International Space Station, where it will begin to gather data on the height and 3D structure of tropical and temperate forests. The campaign will help scientists understand whether forests are slowing or amplifying climate change, and identify prime habitat for valued species. “We’ve wanted this data set desperately,” says Ralph Dubayah, a geographer at the University of Maryland. …Dubayah and his colleagues will combine GEDI data with ground measurements and statistical models to produce maps of tropical forest carbon that, at 1 kilometer resolution, should vastly shrink the errors of previous maps. The public is now invited to apply for the Caribou Habitat Restoration Fund, a $2 million grant from the province to the Habitat Conservation Trust Fund (HCTF) to aid in caribou habitat restoration. The fund was announced in April 2018 and has allowed the HCTF to support porjects in the Kootenary-Boundary and Skeena regions designed to support caribou habitats. According to a release from the Ministry of Forests, Lands, Natural Resource Operations and Rural Development, approximately $1.5 million is available for projects in this funding round. “Our provincial Caribou Recovery Program recognizes the need for a number of actions to help recover caribou populations, including habitat restoration,” said Forests, Lands, Natural Resources Operations and Rural Development Minister Doug Donaldson in the release. British Columbians who would like to cut their own Christmas tree can obtain a permit online, or by contacting their local natural resource district office or FrontCounter BC office. Local natural resource district offices can provide details about specific cutting requirements and approved harvest areas. Free-use permits are provided for personal use only. It is illegal to sell a tree cut under a Christmas tree permit or to cut a tree in an unauthorized area. …Links to online Christmas tree permits, as well as FrontCounter BC and natural resource district office contact information, can be found at http://bit.ly/2E16w62. A list of tree farms and “U-cuts” around the province can be found on the BC Christmas Tree Council’s website at http://bcchristmastrees.com. The Regional District of Central Kootenay (RDCK) has been negotiating to buy land owned by Nelson Land Corporation that the company is currently logging near Cottonwood Lake, according to an RDCK director. RDCK directors are concerned that the unregulated private land logging could drastically affect the landscape on the Highway 6 entrance to Nelson and reduce the recreational and aesthetic value of Cottonwood Lake Park, the Apex and Busk ski areas, and the rail trail. …Private land logging in B.C. is not regulated by the province or anyone else. The land to be harvested could include the forests around Cottonwood Lake (except the small area of the park on the northwest end of the lake) and the slope immediately adjacent to the Apex ski area, as well as all of the land in between on both sides of the highway. The Nova Scotia government tried to get on the right side — politically — of forest clearcutting this week and had some initial success with minimal effort. This is the government that, in its first term, backed away from the provincial natural resource strategy and its plan to reduce clearcutting to about half of the wood taken in the province. Today, clearcutting is used to harvest more than 80 per cent of the wood removed from Nova Scotia forests. …Nova Scotians who expect, or hope, to see a noticeable decline in clearcutting in the woods of the province are likely to be disappointed. That’s because at least 70 per cent of the wood harvested in Nova Scotia will still be by clearcut. That’s Lahey’s estimate based on the province achieving the reduction he proposed but the government sidestepped, and forestry practices remain unaltered on private woodland. Will More Permits To Chop Down Christmas Trees Help Thin California Forests And Prevent Wildfires? Kota Kinabalu: The world’s largest furniture retailer, Ikea, hopes to continue its long-term collaboration with the State Government in restoring degraded forests in Sabah. The Swedish firm embarked on a 20-year project with Yayasan Sabah and planted over three million trees to restore 18,000 hectares of rainforest in the Luasong area since 1998. It is also eager to work with joint venture partners in developing and sourcing acacia wood in Sabah for furniture as it is one of the firm’s best products through acacia plantation timber. This was disclosed by Ikea Global Wood Supply and Forestry Manager Ulf Johansson after his courtesy call on Chief Minister Datuk Seri Mohd Shafie Apdal at the State Administrative Office, Tuesday. “Our main reason being here is to discuss with the Chief Minister about the continuation of the 20-year project to restore a very degraded rainforest close to Luasong,” he said. MAGDALENA RIVER VALLEY, Colombia — For Colombia, peace has come with caveats. In 2016, guerrillas from the Revolutionary Armed Forces of Colombia (FARC) finally laid down their weapons, ending over half a century of conflict. Thousands of fighters had spent decades occupying Colombia’s forests. …The forests had protected the FARC fighters from attacks and surveillance. In turn, FARC’s presence in the Magdalena River Valley, nestled between the central and eastern Andes, kept the forests intact. At the end of the conflict in 2016, with the signing and ratification of a historic peace deal, that started to change. …Between 2015 and 2016, deforestation rose by 44 percent. Once inaccessible land is now up for grabs, and trees are being felled to make way for mines, cattle ranches and farms. OTTAWA — Canada will be ready to set tougher emissions-cutting plans when the Paris climate-change agreement kicks in by the end of 2020, Environment Minister Catherine McKenna says. McKenna is heading to Poland next week for the 24th annual United Nations climate-change meeting, where the nations of the world are supposed to decide how each country will be held accountable for its promised cuts to carbon emissions. A secondary discussion at the meeting is on demands that countries set more ambitious goals. This month’s meeting, known as the Conference of the Parties (or “COP24”), comes two months after climate-change scientists warned the world that without significantly deeper emissions cuts, the planet is on course for irreversible and devastating climate changes. Canada, that report said in October, needs to cut emissions almost in half if it is to do its part. Canada’s current target is to cut them by about 27 per cent. 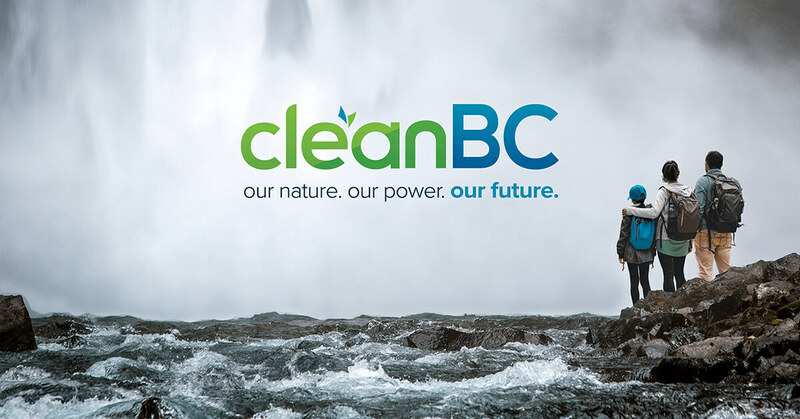 The Government of British Columbia has released its CleanBC plan aimed at reducing climate pollution, while creating more jobs and economic opportunities for people, businesses and communities. “The low-carbon economy we build together will bring opportunities and jobs throughout the province, so people can live and work with greater security in the communities they call home,” said Premier John Horgan. “By moving to clean, renewable energy – like our abundant supply of B.C. electricity – we can power our growing economy and make life better and more affordable for British Columbians.” …Every new building constructed in B.C. will be “net-zero energy ready” by 2032. Along the way, government is requiring new buildings to be more efficient, and ramping up funding for renovations and energy retrofits to existing homes and offices, including $400 million to support retrofits and upgrades for B.C.’s stock of publicly funded housing: 2.0 Mt of carbon pollution reduced by 2030. 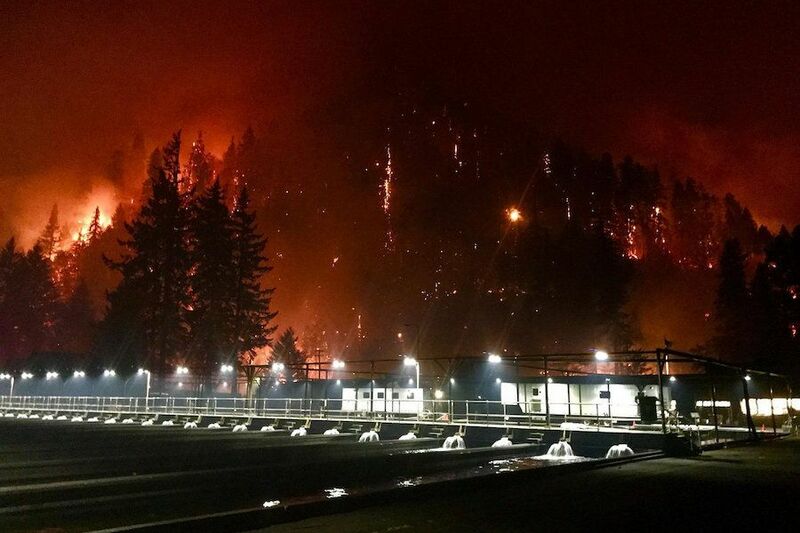 Prone to dramatic statements, Sen. Ron Wyden did not mince words describing the Fourth National Climate Assessment… “Oregon is going to get hit like a freight train by climate change.” …Businesses have already suffered heavy losses from declining water tables, melting snowpacks and ferocious wildfires. 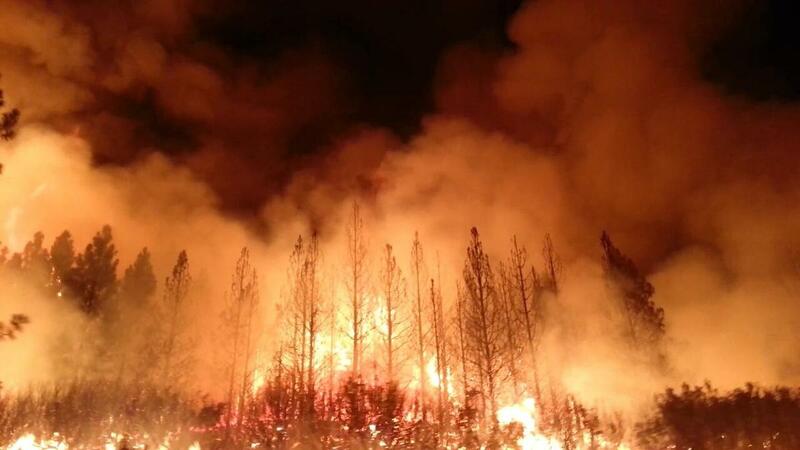 …“Climate change is far worse than we thought,” said Matt Donegan, a consultant who spoke to the summit crowd about forest management issues, “and it’s going to get worse going ahead.” …The private sector is poised to provide many of the solutions. Businesses seek to combat wildfire through forest thinning, biofuels projects that repurpose dead wood, and public-private forest collaboratives between environmentalists and loggers. …Although climate change threatens business, it also provides opportunities for savvy companies. Biofuels projects in Lakeview and John Day promise jobs and investment to rural economies as they clear forests of fuel for the next fire. Biomass can serve as a renewable source for both energy and carbon. Acetone, n-butanol, and ethanol fermentation broth as a biomass-derived source of fuels and chemicals has received a lot of attention for several decades. However, the crude fermentation broth contains low concentrations of oxygenates, limiting its practical applications. …However, the efficiency and selectivity of the transformation process for biomass-derived intermediates remains a major techno-economic challenge. Prof. Wang Feng from the Dalian Institute of Chemical Physics… recently reported an efficient and novel catalytic method for the conversion of aqueous biomass fermentation broth to a water-immiscible product. Their finding was published in Nature Communications. The latest IPCC report does not mince words about the state of our planet: we must act now to achieve global change at a scale that has “no documented historical precedent.” …So far, advocates and politicians have tended to focus on reducing fossil fuel consumption through technology and/or policy. ..Yet the international focus on fossil fuels has overshadowed the most powerful and cost-efficient carbon-capture technology the world has yet seen: forests. …In fact, natural climate solutions can help us achieve 37 percent of our climate target, even though they currently receive only 2.5 percent of public climate financing. …World leaders now have the opportunity to make big gains on climate by dramatically ramping up their investment in proven, natural solutions. More trees in the ground. More reforestation projects. More sustainable forestry. More avoided deforestation through sustainable agriculture and certified crops.